Over the last decade, HRMS implementation has helped companies to save HR administration cost. Business owners using HRMS until now will unanimously agree that setting up an in-house HR department is quite expensive in comparison. Every company embarks upon with an aim to make profit and reduce cost. 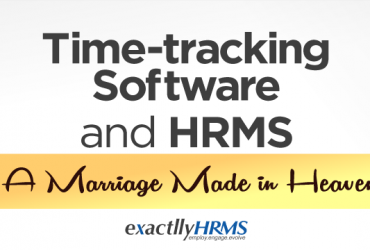 HRMS allows you to streamline HR workflow and empower workforce. It helps to optimize HR operations across different business units. It enables you to find right talent, reduce training time and align your employees with your organizational goals. Most importantly, it helps you to secure sensitive employee data. With the adoption of HRMS based in cloud, businesses can leverage upon their existing benefits. On the other hand, businesses who have been still using traditional HR applications will find cloud HRMS an exciting opportunity. It is a drastic change over traditional HR system as it automates all HR processes and brings a new energy in the HR department leaving HR professionals a great deal of extra time to focus on strategic decisions. Companies are actively turning towards scalable and flexible cloud model to securely handle their day-to-day HR administration. It is true when an HR executive is given the task of cloud HRMS implementation; the first thing expected by the owner is to justify the ROI. Cloud HRMS based on the lines of pay-as-go-model helps you to gain significant cost savings. Organizations can do away with software licensing fees and initial hardware investment to set up servers and equipment. The load of maintaining security to protect HR data also shifts towards cloud vendor. You just have to pay for data storage in use which is in contrast to on-premise solution, a much cheaper way of performing the same function. Therefore, there is a significant reduction in capital cost incurred. Besides having low initial cost of cloud setup, you always access the most updated version of cloud application with all the latest features. Cloud HRMS is usually considered a part of operational expenditure. If you have plans to run a combination of on-premise solution and cloud operation, you still benefit by using cloud services for performing regular tasks while sensitive employee information can stay on premise. However, cloud HRMS implementation is not just about direct cost saving strategy; it offers a number of unique advantages that saves hidden expenses in HR department. Cloud HRMS implementation helps you to reduce errors, automate payroll entry, manage all HR-related tasks in one system, improve business productivity, and reduce cost in management of attendance, recruitment and performance. Cloud HRMS allows all employees to access the software remotely and securely over internet from any mobile device. It makes it convenient for both employer and employee to manage (update and seek) employee information. Cloud HRMS allows you to generate customized reports at the click of a button. Employee information can be easily accessed and meaningful insights can be instantly gained for important decision making. Cloud HRMS can easily integrate with other applications and processes within the organization. Apart from that, it helps you to overcome HR inefficiencies, improve productivity and plug gaps in HR performance. Cloud HRMS helps you to identify the most appropriate hiring sources for employees based on their performance ratings. HR personnel can gain insight into hiring process to find out how employee referrals turn out to be the best source to find suitable talent. It further makes it easier for HR managers to identify high and low performers based on Key Performance Indicators (KPI). Low performers can be trained or motivated in a specific manner after identifying their shortcomings. On the other hand, high performers can be strategically used for a better role or rewarded appropriately. Cloud HRMS allows every employee to use self-service module to gain information, discuss and enroll into company benefits from the comfort of their homes. Cloud HRMS can help you to initiate e-learning strategy to enhance employee skill, increase productivity and measure the impact of their performance based on target goals. It motivates the employees to perform within the organization along with rising career graph. Many HRMS applications come with internal online chat that enables real-time text exchange among the employees both within and outside company premises. It becomes an easier way to interact and disperse information within the team saving time. Since cloud application is automatically updated by cloud vendor, all employees simultaneously access the latest version of software circumventing incompatibility. There is no need for manual update and everybody is in line with new features facilitating better collaboration. Cloud HRMS is easy to implement with no requirement for extensive IT team and servers on board. Users simply need a web browser and internet connection to access HRMS. There is no need to invest in surplus hardware and IT infrastructure when adding more users to the system or when you need more processing power. HR managers can simply upscale or downscale by adopting variable pricing model. Thus, it offers huge amount of cost cutting without any locked up capital. Cloud HRMS is highly suitable for small and medium business owners. It provides cost effective solution without compromising features and usability. It is easier to implement cloud solution by automating all HR functions. Purchase of cloud HRMS should not only be based on direct cost savings but by considering overall benefits and leverage offered by it.